hundreds of MHz to GHz with no adverse effect on the signals. Littelfuse Common mode noise filters (CMF) and Common Mode Noise Filters with ESD protection (CMEF) are designed to attenuate common mode noise, which can cause device damage, loss of reception, abnormal noise in sound, or disrupted video. The electromagnetic waves that cause interference are called noise. Littelfuse offers an ideal suppressing solution for I/O interfaces and MIPI lines in Mobile Phones, Tablets, IoT Modules, Portable and Wearable technologies, Game consoles, Point-of-sale terminals, Video Recorders, Dongles and consumer devices such as set top boxes, Laptops, SSD and Home Automation. Common Mode Noise Filters with ESD protection also provide excellent attenuation solution for AVN / Display / Head Unit / Cluster for RGB/LVDS line for Automotive applications. The Littelfuse CMEF offering is AEC-Q200 qualified. Littelfuse CMEFs are available in many dimensions to accommodate customer requirements: 0202inch(0605mm), 0302inch(0806mm), 0504inch(1210mm) , 0603inch(1608mm) , 0805inch(2012mm) and 1203inch(3008mm) and we offer 4 and 6 multi channels in one device. 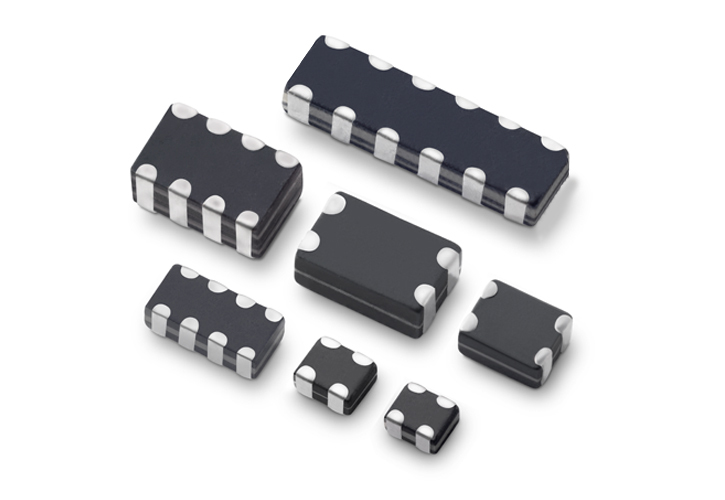 Littelfuse CMEFs offer very wide and deep cut-off frequency ranges up to 10.5Ghz with low capacitance. In order to attenuate unexpected strong common-mode noise and interference, Littelfuse provides high common mode insertion Loss -63dB. Littelfuse Common mode noise filters (CMF) and Common Mode Noise Filters with ESD protection (CMEF) are designed to attenuate common mode noise. Littelfuse offers robust noise suppression with ESD protection products and can safely protect against repetitive ESD strikes at the specified levels which are often at the maximum standard levels: 8 kV for contact discharge and 15 kV for air discharge (level 4 of the standard) without performance degradation. High common mode insertion Loss -63dB. EMI is the disturbance generated in an electronic system when it is in the vicinity of an electromagnetic field caused by another electronic device or natural reasons. EMI can cause device damage, loss of reception, abnormal noise in sound, or disrupted video. The electromagnetic waves that cause interference are called noise. Natural sources of EMI can be lightning events. Electronic systems with fast switching of currents can also generate EMI, for example switch mode power supplies or even low power but high speed differential data signals. 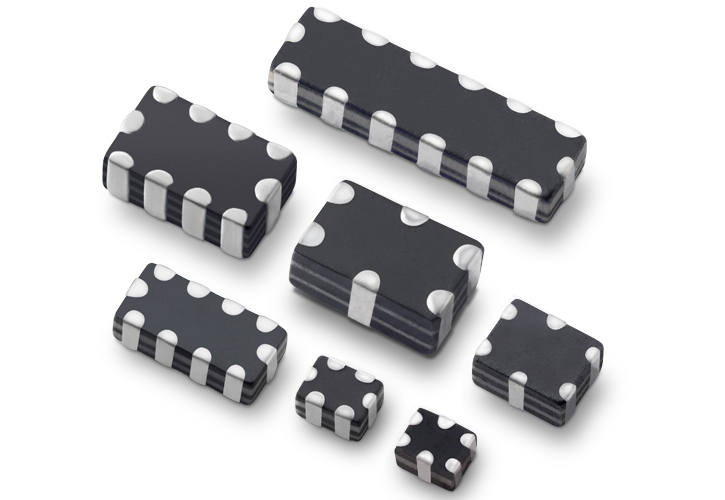 The Littelfuse products filter the common mode EMI generated in electronic systems due to high speed differential data signals. What are Common Mode Noise Filters (CMF)? Most EMI filters (also called Common Mode Filters or CMF) consist of components that suppress differential and common mode interference. Anytime an RF system uses high-speed differential data lines, the device needs to utilize a Common Mode EMI Filter for noise suppression. In the below figure, high speed lines like MIPI, SATA, HDMI etc can generate EMI which can affect the performance of wireless data transmission systems like Wi-fi, Bluetooth etc. EMI filters are used close to the data lines to suppress the generated noise.